Having a meal means it’s time for your family to get together and connect. Unfortunately, serving food to a fussy toddler can create a difficult experience for everyone at the table. Rather than interrupting your pleasant family ritual, it’s important to work through this phase and make mealtimes memorable for the right reasons. Here are some ways to try and curb fussiness around food before it becomes a habit. While dealing with a picky eater can feel very stressful, know that you’re not alone. It’s something that lots of parents and kids go through. It’s not clear what triggers a phase a of picky eating. It’s been suggested that since toddlers crave autonomy, controlling about what they will and won’t eat is part of this. Experts do have an idea about what doesn’t help and that’s anxiety. While you’re in this phase, try to remember that any kind of strict routine or rules around eating probably won’t help. For support, it’s a good idea to reach out to friends and ask how they got through the fussy phases. When you have a picky eater, it’s normal to worry about their overall food intake. Rather than solving the problem, filling them up on snacks can contribute to their unwillingness to eat. Think about how and when you’re giving them snacks. Is it just when your kids are hungry? Or do you dish them out to keep them occupied on a car trip, to bribe your way through a supermarket shop and as an effective distraction to break up a fight? If so, your picky eater might really not be very hungry. If you think that your child might be enjoying something of an all-day munch, put some structure around how and when they are snacking. Think about some alternative non-food distractions for the times that you need them. Look at the snacks you’re offering too and see where you might be able to swap out some crackers for more helpings of veggies. It’s a good time to think about your own habits. 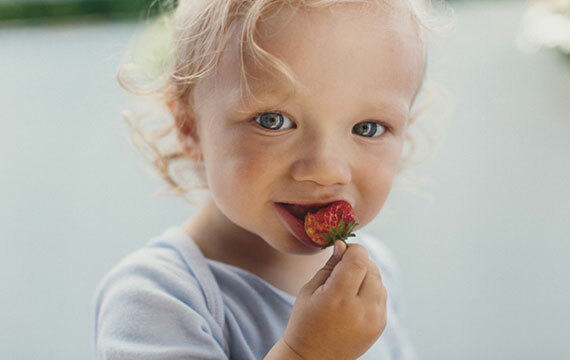 If your child can see you trying different foods, they are more likely to follow suit. If you’re trying to get one child to eat more, it can be a good time for the whole family to try some new things, rather than relying on old favourites. Don’t be tempted to make some foods seem like a ‘chore’ and some like a ‘treat’. Offering dessert or sweet food in exchange for eating vegetables can send the wrong message to kids. 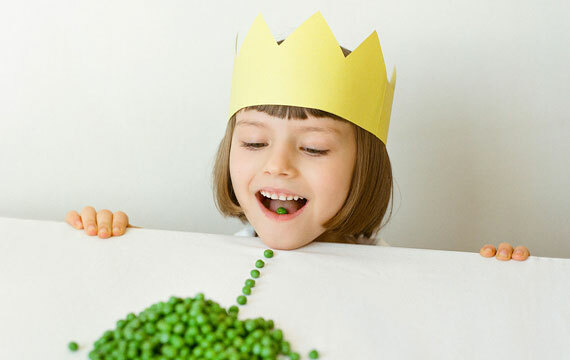 Vegetables can become a firm favourite when kids form a positive relationship with them. If kids learn that not liking something means they don’t have to eat it, then you might find they ‘don’t like’ a lot of food. It may be that they actually just don’t feel like eating it then. Talk to them about their food choices and get them to express themselves beyond just ‘not liking’ something. Find out what they are responding to- is something too hot, too cold, or cooked in a different way? Don’t take food that they ‘don’t like’ off the menu. Try reintroducing these foods and make sure not to mention and reinforce the idea that they don’t like certain foods when you’re shopping or planning meals. Above all, hang in there! You may need to try and introduce a new food as many as ten times before your child will eat it. It’s tempting to give up after the third or fourth attempt, but keep going and you’ve got a better chance of success.